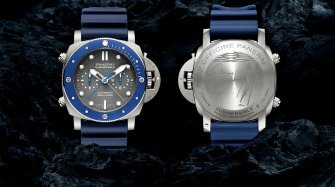 Panerai will create a new collection of watches dedicated to Luna Rossa Challenge, the Italian team which is the first to challenge the defender of the 36th America’s Cup. 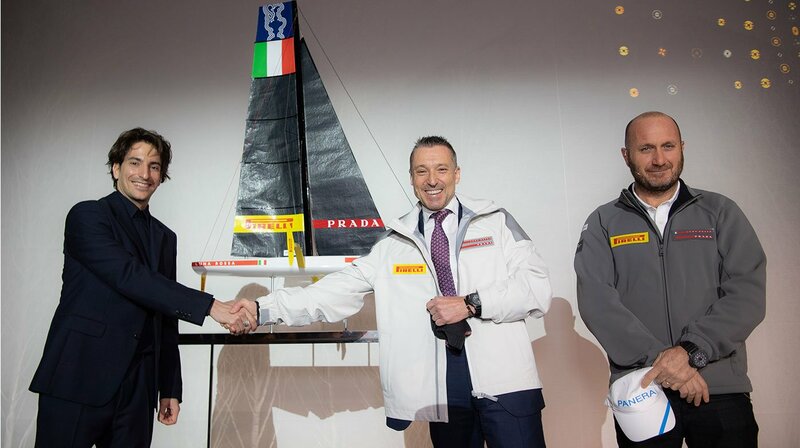 A new Italian story associated with the sea and with technical innovation is taking place thanks to the partnership between Panerai and Luna Rossa, the Challenger of Record team which a few months ago was the first to challenge the defender New Zealand for the right to compete in the 36th edition of the America’s Cup. 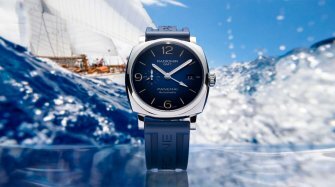 Panerai will be the Official Sponsor of Luna Rossa and will create a series of watches directly inspired by the technologies and materials used in the America’s Cup, which is the oldest sports competition in the modern world, but also one of the more advanced in terms of research and innovation. The new Panerai Luna Rossa watches, instruments for life at sea, will be worn by the members of the Luna Rossa Sailing Team headed by Massimiliano “Max” Sirena - who has already won the America’s Cup twice - and by many sailing enthusiasts who are eagerly awaiting the America’s Cup World Series, the preliminary races which will precede the final in New Zealand in 2021. The first stage of the ACWS will take place in 2019 in Cagliari, Sardinia, where the Luna Rossa team has its headquarters. 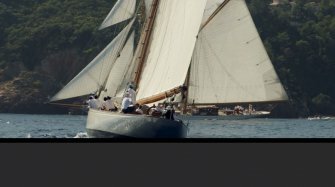 The new monohull on which the members of this team will be competing is the AC75 and this will be the first opportunity to see this yacht in competition. 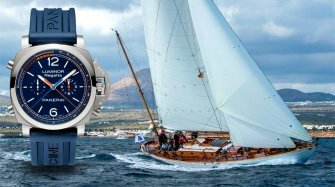 “Technical innovation, Italian excellence, love of the sea and boldness. 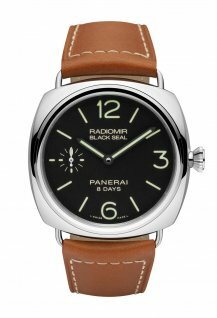 The partnership between Panerai and Luna Rossa expresses all the values with which our brand is so strongly linked, the same values which we want to convey to our enthusiastic clients as they are stirred by the emotions which Luna Rossa will arouse,” said Jean Marc Pontroué, CEO of Panerai. A case made of carbon fibre, like the hull of Luna Rossa’s AC75, and sailcloth applied to the dial for a professional diving watch, water-resistant to a depth of 300 metres. 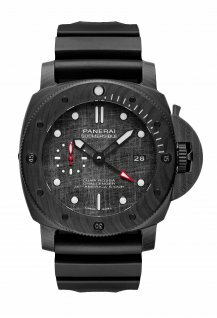 The first watch inspired by the partnership between Panerai and the Challenger of Record of the 36th America’s Cup is the Submersible Luna Rossa, a diving watch water-resistant to a depth of 300 metres (30 bar) with a case made of carbotech, the innovative material based on carbon fibre introduced into the world of high-quality watchmaking by Panerai. With its qualities of lightness, resistance to external shocks and freedom from corrosion, carbon fibre material is also used to make the AC75 monohull, a picture of which is engraved on the titanium back of the watch, together with the Luna Rossa logo and the America’s Cup profile. 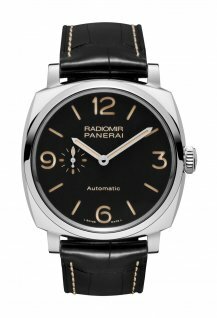 The striated matt black appearance of the case arises from the particular arrangement of the carbon fibres and it gives every watch a sports look, high tech and very distinctive. Enhancing the personality of this watch are the unidirectional rotating bezel for calculating the duration of a dive, also made of carbotech, and the dial, whose texture conceals a fascinating secret: pieces of the sails of the Luna Rossa have been applied to it. The indications on the dial are clearly visible in all situations - including underwater - and several details stand out with their red colour: the small seconds hand at 9 o’clock and the central hand indicating the second time zone which, when set up, will enable the start time of the races of the 36th America’s Cup to be followed even if they are taking place on the other side of the world.